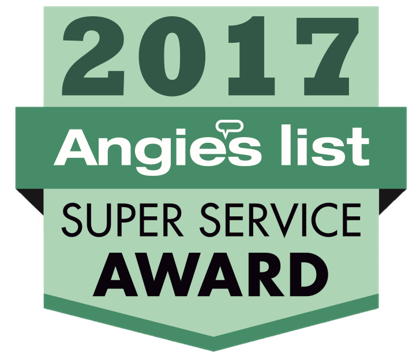 Tree pruning is an essential step in the tree maintenance process, but the method “tree topping” is by and large a harmful tree care practice. 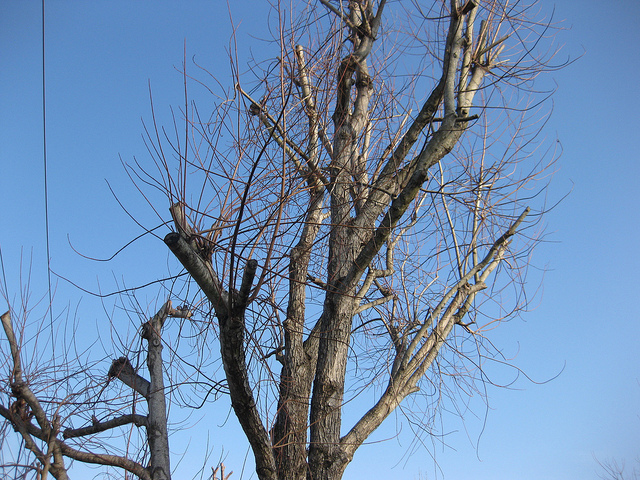 While tree topping does effectively trim back your trees, it is a bad practice in the long run because it ultimately leads to a need for more pruning and it causes a tree to decay more quickly. Topping your trees is a bad practice for a number of reasons related to tree health, property damage and customer cost. 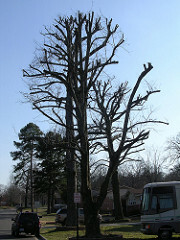 Some of the negative effects of tree topping are seen immediately. Topped trees, for example, look ugly because they stunt, or completely destroy, branch and leaf growth. Topped trees also become sunburnt very quickly, meaning that they will often dry up and cease to grow and flourish. Other negative effects of tree topping take longer to recognize: for example, increased risk of property damage, accelerated decay, and an increase in maintenance expense. The crown of a woody plant (tree, shrub, liana) is the branches, leaves, and reproductive structures extending from the trunk or main stems.¹ Topping a tree, then, removes a substantial portion of a tree’s crown. This is obviously harmful because the crown is a major life-bearing part of a tree. By removing crown, a tree is stripped of its leaves–the food factories of a tree–and, thus, deprived of its nutrients. As a result of this loss of nutrients, the tree inevitably becomes weaker and the rest of the tree has to both work hard to produce food as well as work harder to remain strong and stable. Ever heard the phrase “death by a thousand cuts”? Well, topping is essentially that for a tree. Topping wounds a tree in multiple areas, making it difficult for a tree to sort of retreat within itself and recover. This is mostly because topping attacks a tree in some of its most life-bearing and life-sustaining areas, mainly its leaves. This kind of damage can quickly lead to a tree running out of resources and drying up. The tree then has to juggle between healing the wounds and recovering from sudden resource loss and handle the incoming decay from the large wounds. And if the tree fails to recover–which it often does–then the tree begins to decay. After it is topped, a tree attempts to recover. It begins to produce multiple shoots just below each topping in an effort to reserve its resources and create new ones. These new shoots, however, are produced in a way unnatural to the tree and are, in a sense, “rushed” into creation. As a result, these shoots are much weaker than branches which develop naturally from wood tissue. In addition, the stubs left from topping usually dry up and decay, leaving the shoots below them weak or decayed themselves. All of this together, produces weak branches and weak trees and increases the chance of serious property damage. Not only will a topped tree branch struggle to create enough resources to keep it alive, but it will also often dry up because of its naked exposure to the sun. Just think about it. You are basically taking something that has a detailed system of growth and self-preservation and then you unnaturally strip it from its ability to protect itself. Or, take your own life as an example. Imagine being inside 24/7, 7 days a week for a whole year and then all the sudden someone forces you out into the bright summer sun for several hours with no sunscreen or shade. It is the exact same situation for a topped tree–it is unprepared and unprotected. Topping tree is ugly. It removes the branches and leaves of a living tree and leaves it with leafless stubs. This robs the tree of its natural grace and leaves it looking mutilated. Furthermore, as the leaves grow back, the topped parts of a tree become a dense ball of foliage, rather than a sprouting display of flourishing branches and leaves. As mentioned above, topping a tree often causes sunburn and decay which can lead to a topped tree becoming an even greater eyesore. Topping trees is also expensive. Not only will topping a tree cost money initially, but because topping often leads to accelerated shoot growth & decay it will also mean more tree maintenance down the road. Extensive tree topping can also lead to the eventual decay of an entire tree meaning that you will have to pay for a comprehensive tree and stump removal.